Dear school admin lady, why are you so miserable? By Mary FitzGerald, LCSW-C and Rebecca Landau-Millin, Psy.D. Children often face difficulties in separating from parents at the start of the school day. This is particularly observable during preschool years. Helping your child achieve a more comfortable experience with separation establishes a healthy emotional foundation that can have lifelong benefits. It contributes to feelings of confidence regarding age-appropriate independence for children that carry forward into the later childhood, teen, and young adult stages of life. If children are having difficulty adjusting to the thought of starting a new school, they may benefit from desensitization, which will help them feel more comfortable with the change. By visiting the new school, you’re helping your child to be prepared. One solution? Imaginative play. This is a highly effective way for children to overcome many hurdles in life. It allows them to act out their conflicts and fears in a safe environment. Children can gain greater mastery over real-life challenges by becoming more actively engaged in emotional problem-solving through play. Four-year-old Emily* clung desperately to her mother’s legs, begging her not to leave. Emily’s tearful and lost expression left her mother feeling helpless and anxious as she drove off to work. It occurred to Emily’s parents that play might be a way to help Emily. At home, her parents re-created the preschool drop off scene using shoe boxes, blocks, little toy people, and toy cars to illustrate Emily’s transition from home to school. Emily was engaged in maneuvering the toy cars and little people to act out the preschool drop off and pick up routine. This play resonated with Emily and helped her gain greater comfort with separation at preschool through familiarity with the process. Recently, Truman, who oversees operations in the school's cafeteria, decided to start offering something a little unusual on the menu, by writing encouraging messages on banana peels. The banana messages also received special attention after the school's principal, Sharon Shewbridge, shared some photos on Twitter. Five-year-old Frankie* was getting ready to enter kindergarten in a new school. While she was excited about new friends, she also voiced feeling afraid and anxious. Her parents worried about how the first few days of school would go for her. Transitions and new beginnings had previously not been easy. 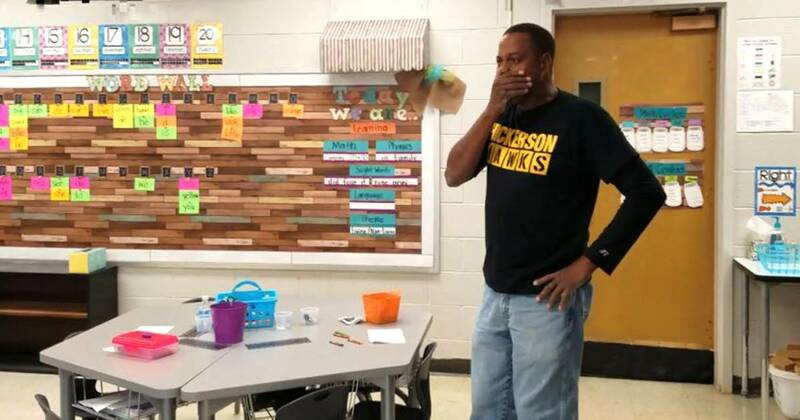 Frankie’s parents explained what she could expect on the first day of school and encouraged her to ask questions, but Frankie responded by becoming quiet. Her parents decided to introduce play into the discussion as a way to support their daughter’s need to make the discussion feel easier. They knew that Frankie loved imaginary play and thought it might be a useful way of exploring her worries. Frankie’s father initiated playing with dinosaurs while sitting on the playroom floor with his daughter. He assumed the role of Brontosaurus and Frankie the role of Stegosaurus. “I’m going to a new school tomorrow!”, Brontosaurus said to Stegosaurus. “And I’m really feeling...oh...what’s the word?”, he asked. “Scared,” Stegosaurus replied. “Yes! That’s it! I feel scared because I don’t know what it’s going to be like. Do you know, Stego?” Stegosaurus offered, “No, but ask your parents?” “That’s a great idea, Stego!” Brontosaurus exclaimed. The play continued to unfold in this way with Stegosaurus helping her friend Brontosaurus express his worries about starting a new school and come up with questions that he might want to ask his parents. As Frankie was able to verbalize her own feelings and questions through the use of play, she felt emotionally prepared for her new experience and more comfortable about starting school. *These examples are fictional characters and are not based on any real individuals, but do represent struggles common to many children and their parents. 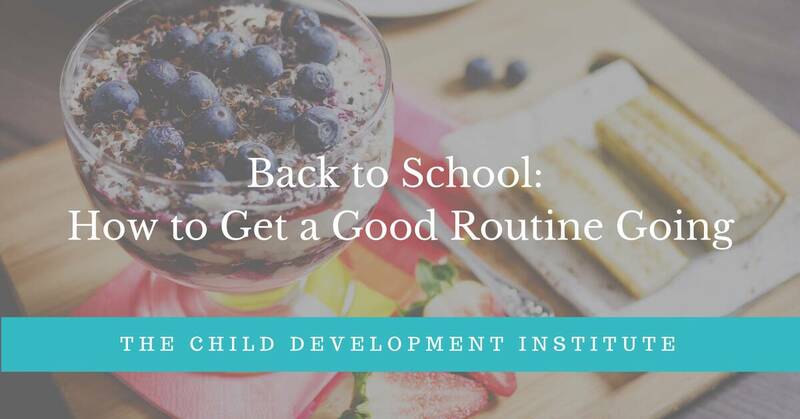 Familiarize yourself with the school’s drop-off procedure– By learning about the approach for separation at your child’s preschool, parents can more effectively prepare and support their child. What is the school’s policy if the child becomes upset and cries when the parent leaves? Prepare your child – Talking with your child about school in advance will help them feel comfortable. Read stories about school together to help them visualize the experience and play together on the school playground before the start of school to encourage them to feel more at ease with their new space. Find a buddy - Make a plan for your child to meet up with a friend before the school day (for example, at the playground or at the front door of the school). Seeing a familiar face on school mornings can bring a sense of comfort to a child. Practice active listening – Unplug to fully engage with your child. Let them know you are interested in learning about what they would like to tell you about school. Don't ask too many questions--this allows them to share what they feel is most important. Follow your child’s lead – Your child will be most receptive to thinking together and expressing thoughts and ideas when they feel a sense of control in the conversation. Encourage your child to let you know when they are ready to talk, or to play, about preschool, and when they want to take a break. Play games that enhance comfort with separation. Games such as hide-and-seek and peek-a-boo help children to develop the capacity for separation from their family and caretakers. These kinds of games, where objects and people disappear and then come back, help the child to understand that even when people are not physically in their presence they still exist. Cynthia Jatul, a teacher at Roosevelt High School in Seattle, described the results of the later start time move as "encouraging," and said the change ultimately produced "students who are more awake and engaged in morning classes. It is not unusual for young children to become upset when their parents leave. However, if you have concerns that your child is struggling with overwhelming anxiety or sadness, tearfulness, or showing other changes in their behavior, you can seek professional advice by speaking to a child psychotherapist or your child’s pediatrician. Mary FitzGerald, LCSW-C . is a Licensed Clinical Social Worker and Psychoanalyst with a private practice in Chevy Chase, Maryland. Ms. FitzGerald provides parenting consultation and support to parents with children of all ages and provides psychotherapy to young children, teens, and adults. Ms. FitzGerald can be reached at info@maryafitzgerald.com.